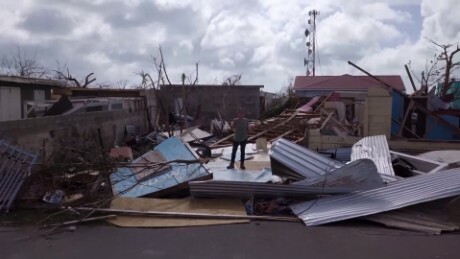 (CNN) When Hurricane Irma ravaged the island of Barbuda in the Caribbean, the ferocious storm “extinguished” the isle’s way of life and left the beautiful spot “uninhabitable.” And, now, for the first time in a few centuries, no one lives there. “The damage is complete,” Ronald Sanders, the Antigua and Barbuda ambassador to the United States, told Public Radio International. “It’s a humanitarian disaster. A home in Barbuda, one of many destroyed by Hurricane Irma. Antigua and Barbuda — which is located southeast of Puerto Rico and where the Atlantic Ocean and the Caribbean Sea meet — became a sovereign state in the British commonwealth in 1981. Its population in July was estimated to be 94,731, with 97% of the population living on the island of Antigua, the CIA World Factbook said. The majority-Christian and the majority-English speaking nation is reliant in large part on travel and tourism and has financial services businesses. But tourism is its bread and butter — accounting for nearly 60% of its GDP. Workers remove debris on Thursday, September 14, in Friars Bay on the French Caribbean island of Saint Martin. 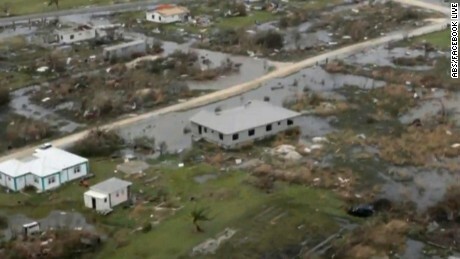 Hurricane Irma devastated the Caribbean island and others in the region. The living conditions aren’t perfect and they can be “cramped,” he said. But the evacuees are safe and the young people from Barbuda will be going to school in Antigua, for the time being. The government believes that while some Barbudans might choose to stay in Antigua even after their island is rebuilt, others will go home. 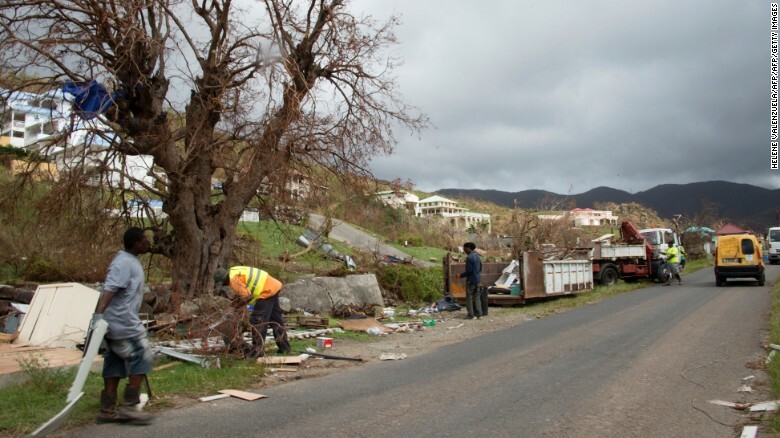 The government intends to rebuild the island, which will take time. 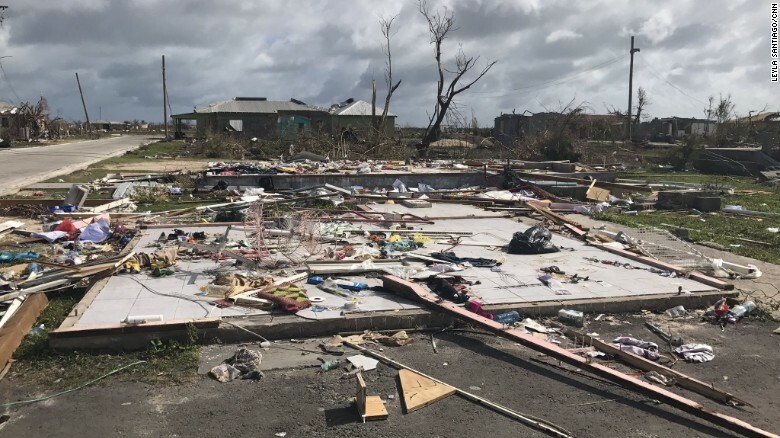 International humanitarian help is needed in the “mammoth task,” Sanders said, adding that the small island community can’t rebuild without such assistance. Prominent voices, such as actor Robert de Niro, are urging help for the island. “We’re going to have to keep this going for some time because Barbuda’s not going to be rebuilt in a hurry, and when we do rebuild it, we’re going to have to rebuild to massive hurricane standards. This is going to take a while. There is no electricity there, there is no potable water anymore, there is no structure in which people can survive,” Sanders said. The country would have been in “great trouble” if Antigua had taken the same kind of beating from Irma that Barbuda did, Sanders said. “Fortunately, Antigua remains open for business so tourism and so on is still continuing but had we not had that and had we not had that income I have no idea how we would have survived,” he said. The key to rebuilding is to make sure all of the structures, “can withstand hurricane forces of the kind and magnitude we’ve seen because we believe climate change is here to stay,” Sanders said.